I am a member of the Michigan Association of Retired School Personnel, an organization that Shawn and his staff are associated with. Early in 2000, I contacted the The Elder Law Firm PC to help me with my Living Trust and my Financial and Health Care Powers of Attorney. When I found myself in a health crisis in the Fall of 2000, Shawn and his staff were extremely helpful to my family. They met with and consulted with my daughters on numerous occasions and showed them through a very difficult and trying time with an abundance of compassion. I whole-heartedly recommend Shawn and his staff to anyone – especially if they are in a crisis situation. 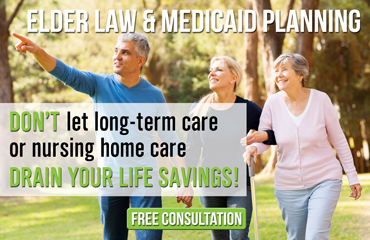 A friend of the family recently had their estate plan completed and referred The Elder Law Firm PC to us. Shawn and his staff are extremely knowledgeable when it comes to solving the problems that seniors face, and they treated our entire family with empathy, dignity and respect. Because of their willingness to share their vast knowledge, we knew from the first appointment that we had chosen the right group of professionals. They have become a tremendous asset to our family. Shawn and his staff helped us set up an estate plan several years ago. They lifted a huge burden for us, and gave us the peace of mind about the future of our special needs child that we never had. Since that time, seeing him and his staff has been like seeing a friend you can trust. Working with The Elder Law Firm PC has been one of the best decisions that our family has ever made. He and his staff have become trusted advisors in all of our business and personal affairs. We did our asset protection planning with The Elder Law Firm PC and were delighted to find such a caring group of professionals. We have always found the entire staff to be a pleasure to work with, and we're so grateful for all of the times that they traveled to our city to meet with us and advise us on our legal and financial matters. Such a client-centered approach is hard to find in this day and age. As a wartime veteran suffering from Alzheimer's disease, I found myself in need of in-home care but not able to afford it. The Elder Law Firm PC found a way for my wife and I to receive a special monthly pension from the Veterans Administration, and life is so much easier now. And there was no charge to us for doing the paperwork. Shawn and his staff have been an absolute blessing to us — a real Godsend!